Before the 1982-83 high school hockey season, no one was talking about Christian Brothers Academy. The varsity team was coming off a three-win season and were not ranked in the preseason top-20. By March of that season, the Colts had won 22 games, including the 1983 state championship. The 1983 title was the first hockey state championship in CBA history, earning the team a rightful place in Colts' lore. This month, the team was honored for that incredible season by being inducted into the New Jersey High School Hockey Hall of Fame (HSHOF). The CBA alumni were recognized at a formal ceremony on April 15th in West Orange. 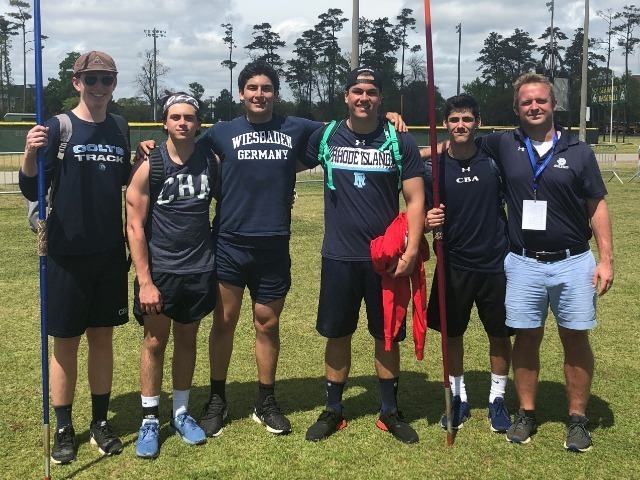 Christian Brothers Academy joined two other teams from St. Augustine and Randolph, as well as 11 players and three coaches, in the Class of 2018. 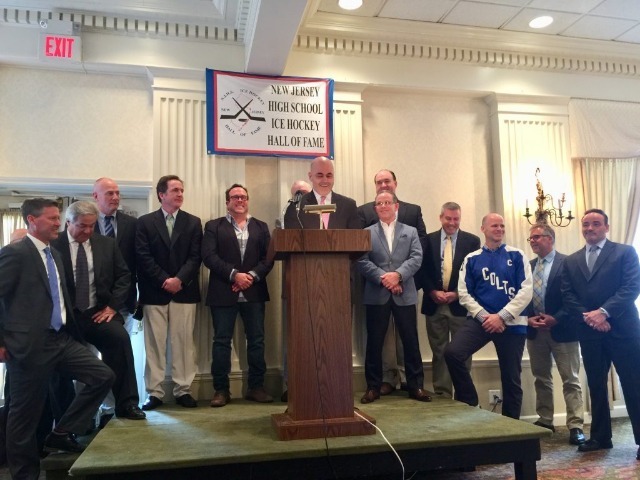 The HSHOF inducts a new class every two years, choosing those who have made a tremendous impact on high school hockey in New Jersey. Four former CBA players have been inducted into the HSHOF: Bob Cielo, Dustin DePalma, Paul O'Hern, and James van Riemsdyk. Bob Smith and Mike Reynolds have been inducted as CBA coaches, while the 1995-96 state championship team has also been honored. Cielo and O'Hern were stars on the 1983 team, while Smith served as head coach. The eight total inductees gives CBA the third-most in HSHOF history, which began in 2010. With little expectations heading into the 82-83 season, Coach Smith challenged his players to work harder than ever before, promising good results as the outcome. In the regular season, CBA lost just twice, to Brick Township and Seton Hall Prep, but would defeat both of those teams in the state playoffs. The Colts ultimately won the state championship over Seton Hall, shutting out the Pirates 3-0. 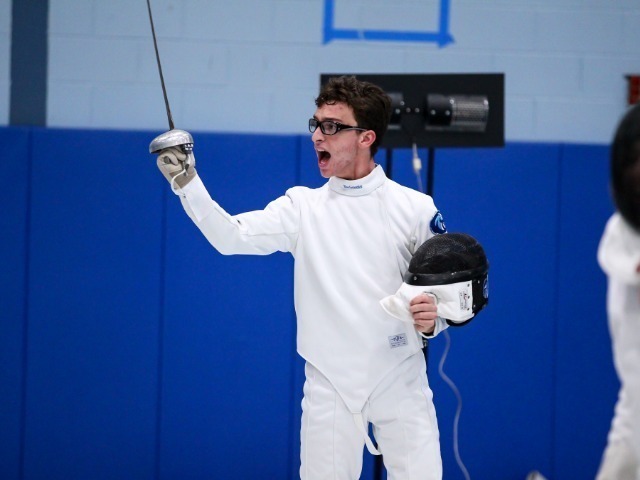 However, Christian Brothers' toughest test came in the opening round of the state tournament against Bishop Eustace. "Eustace was a totally unknown team from a Philly suburb," Michael Fitzgerald '85 said. "They came to Ocean Ice Palace [in Brick] and gave us all we could handle. Brian [Fitzgerald] scored a dramatic goal in overtime. To this day, I can see that goal trickle in, which sparked our tremendous roll to the state finals." With an overtime win to open their state tournament, followed by two revenge wins over Brick and Seton Hall, the Colts were a team of destiny in 1983. The 1983 team began a rich history of success for the hockey program at CBA. In total, the Colts have won seven state championships, most recently in back-to-back years of 2014 and 2015. Their seven state championships are the second-most of any non-public school in New Jersey. 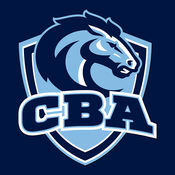 CBA has also won eight Gordon Conference Championships, which is the second-most in conference history. "It's with great pride that we helped light the fuse for what has become such an amazing program," Fitzgerald said. 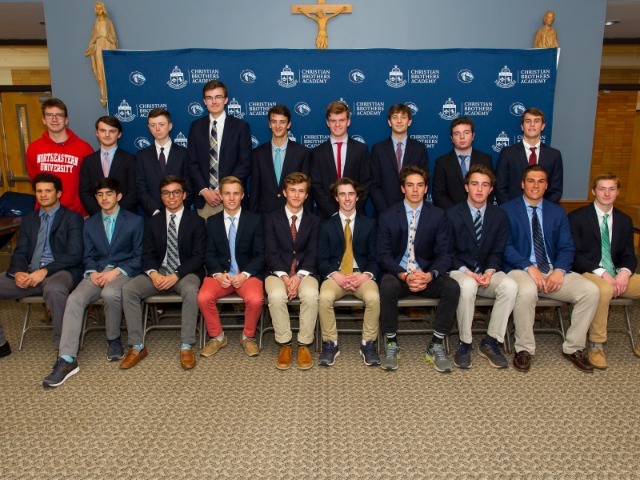 "A number of us had older brothers who actually started the hockey program at CBA, and they paved the way for us despite their win-loss record." Prior to the 1983 run, the hockey program was not a sure-thing to last as a varsity sport at CBA. This state championship run changed that, and hockey has been built into the DNA of CBA Athletics. "It's great to be a part of this tradition at CBA, which the teams after us really took to the next level," Fitzgerald continued. 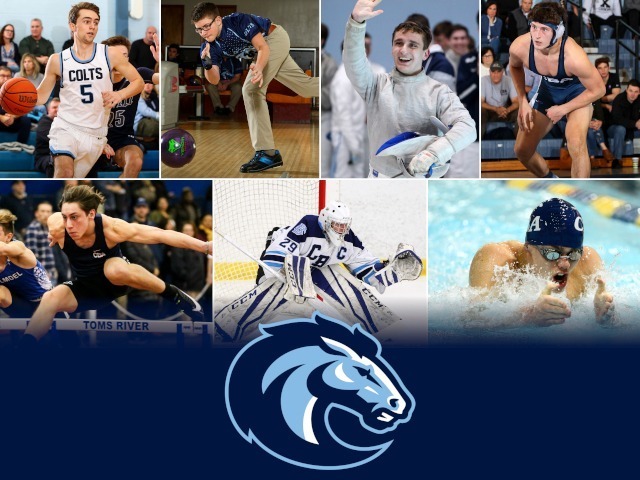 "From the [head coach] Mike Reynolds era to today's fantastic program with coaches Bogan and Grable, CBA is now a perennial contender and considered one of the top hockey traditions in the state of New Jersey. That is simply amazing."